Having had the opportunity to get some one on one time with this game, I can tell you, this is one game I’m looking forward to buying.Operation Raccoon City is a third person over the shoulder shooter. The graphics in this game are extremely well done and the game runs smoothly as well. 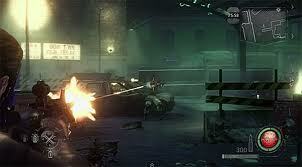 As this is a shooter, Capcom stuck with what works and kept the controls standard to most shooters. 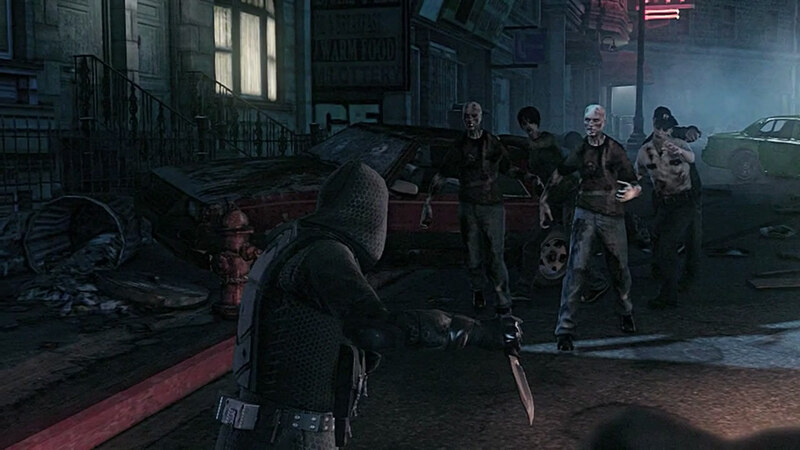 Operation Raccoon City is definitely meant to be a co-op game with up to four players working their way through Raccoon City to stomp out any form of life infected with the T-virus. While the monsters aren’t necessarily unique (As we’ve seen them in previous Resident Evil games), the graphics are second to none and they definitely bring the game to life.There is also one feature that stands out above all other games in this genre. In Operation Raccoon City, you have to be careful. While you could just run and gun and take out the infected at close range, you have to take into consideration the amount of blood splatter your actions will cause. The more blood you get on you from those infected with the T-virus, the sooner you become one of the infected. Luckily, there are a few ways you can wash away any contaminated blood that has collected on your clothes. And you can’t forget the weapons variety. From knives to shotguns, you get only the best for Umbrella Coorperation’s finest. While I can’t get too into the details of this game, as it hasn’t been released yet, I can assure you, this game will be a must play for Resident Evil fans new and old, and I will definitely be posting more on this when it finally releases.